A psychological or psychoeducational evaluation is performed when significant academic, cognitive, attentional, executive functioning, social-emotional, and/or behavioral concerns arise. Evaluations can assess whether a child meets diagnostic criteria for Autism Spectrum Disorder (ASD), Dyslexia and other learning disorders, Attention-Deficit/Hyperactivity Disorder (ADHD), executive functioning problems, intellectual and developmental disorders, and/or anxiety, mood, and behavioral disorders. Through clinical interviewing and a range of psychological tests, Dr. Wolff and his team collaborate with families to develop effective educational and treatment plans. Prior to the evaluation, parents take part in a free 30-minute phone consultation, in which the child's needs and the evaluation process are discussed. Appointments can be scheduled at that time, though the initial consultation may lead to being referred to other providers, if needed. A comprehensive evaluation serves as the foundation of most educational and treatment plans, allowing families to better understand their child's specific needs and enabling them to advocate for their children more effectively. 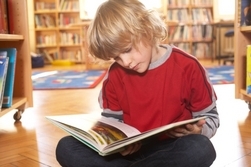 Assessments are tailored to your child’s specific strengths and challenges and include a diagnostic evaluation and written report that can be utilized as a starting point for educational and other services, including Individualized Education Programs (IEPs), 504 Plan accommodations, and SAT/ACT accommodations. As part of your child's comprehensive evaluation, we will be available to attend one school meeting (in-person or by phone) afterward to advocate for implementation of our recommendations. We also conduct intelligence and academic achievement testing for applications to independent schools and to gifted and talented programs. Wolff Child Psychology also provides comprehensive Independent Educational Evaluations (IEEs). An IEE is a comprehensive evaluation approved and paid for by a child's school district or BOCES program, under specific circumstances. More information can be found on Page 5 of the Colorado Department of Education (CDE) Procedural Safeguards Notice: www.cde.state.co.us/spedlaw/2011proceduralsafeguards. Note: Fees listed here are typical estimates. The actual fee, which would be set when you schedule your appointment, could vary depending on the specific details of your case. *The comprehensive evaluation fee includes the psychologist joining you at your child's school after the assessment is complete. The purpose of this visit it to translate the evaluation results to the school team and to support your child in receiving appropriate supports, such as an IEP, 504 Plan, and/or a private school support plan. Wolff Child Psychology accepts cash, checks, and all credit cards. For evaluations, clients can pay the full fee at the initial appointment or in 4 monthly installments. At this time, we do not bill health insurance companies directly, but can easily provide invoices for services. Often, clients can then be reimbursed by their insurance companies. Flexible Spending Accounts or Health Savings Accounts are accepted. Note: We are not allowed, by law, to work with a child covered by Medicaid, as we are not Medicaid providers.